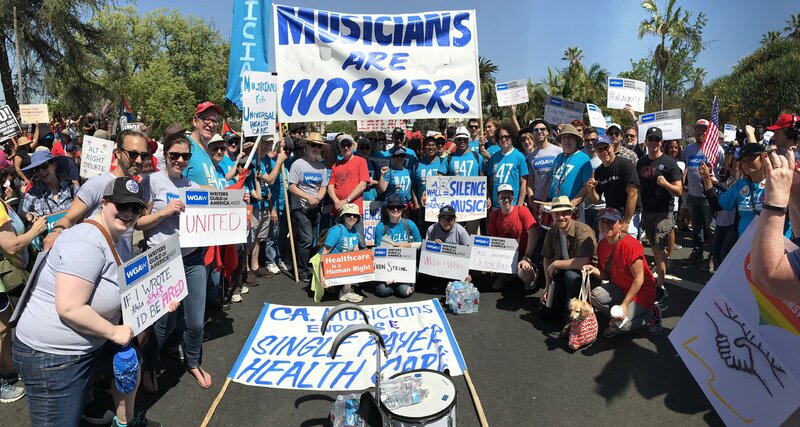 AFM Local 47 musicians, WGA-West writers, and Healthy California coalition members marched with tens of thousands of Angelenos on May Day 2017 on a three-mile course from MacArthur Park to City Hall. Musicians marched on Monday in record numbers. Our community of politically-engaged musicians has grown larger than ever before, with nearly 50 musicians making the long march in the hot sun yesterday. 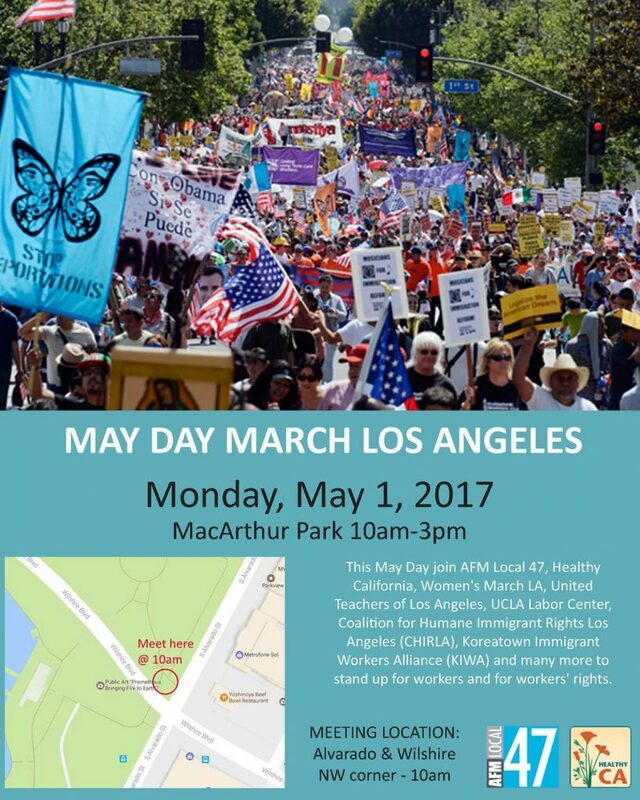 This entry was posted in All News, Features and tagged International Worker's Day, Los Angeles, May Day, May Day March on May 2, 2017 by admin. Sign up for the May Day Thunderclap to set up an automatic message of support to be sent out from your social media pages on May 1! This entry was posted in All News, Events and tagged International Worker's Day, May Day, May Day March, Resist Los Angeles on April 26, 2017 by admin.